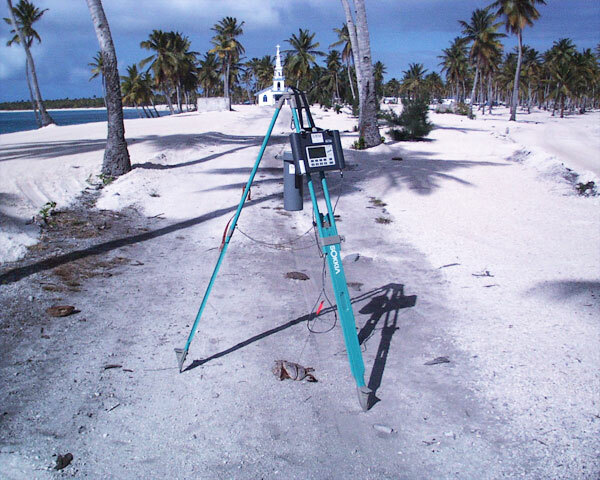 Large-scale remediation studies on Bikini Island (Bikini Atoll) have been used to develop techniques to help reduce the radiation dose delivered to resettled and resettling populations in the Marshall Islands. 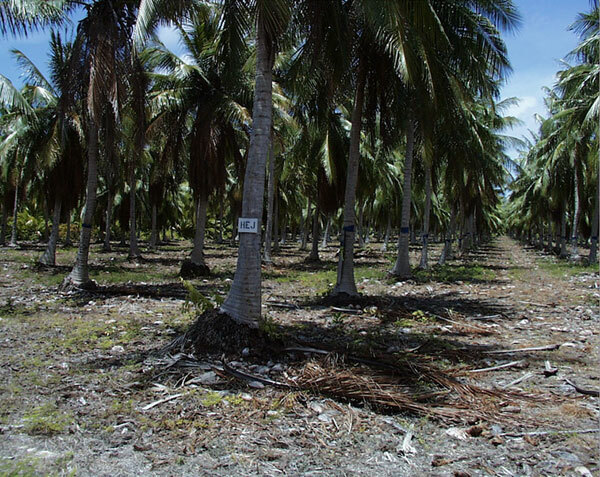 On Bikini, a single application of 1000 kg per hectare of potassium is effective in reducing the uptake of cesium in coconuts by factors of 10 fold or more over pretreatment levels. Moreover, the potassium treatment appears to retain its effectiveness over many years and helps increase the productivity of the plants. The HEJ experiment (shown above in the photo above) was initiated in the 1990s and is being used to study the relative effectiveness of using multiple applications of the potassium on reducing soil-to-plant transfer. One of the key directives of the Marshall Islands Program is to provide measurement data and radiological dose assessments in support of island/atoll resettlement programs. Local atoll government contractors are normally responsible for implementing the cleanup programs while Livermore scientists provide technical support and conduct radiological surveys to verify the effects of cleanup activities. Key recommendations adopted under the Rongelap Island Resettlement Program were to reduce external gamma exposure rates in and around housing and village areas by (1) replacing contaminated surface soil with clean crushed coral fill, and (2) adding potassium fertilizer to agricultural areas to reduce the uptake of cesium-137 in locally grown foods. 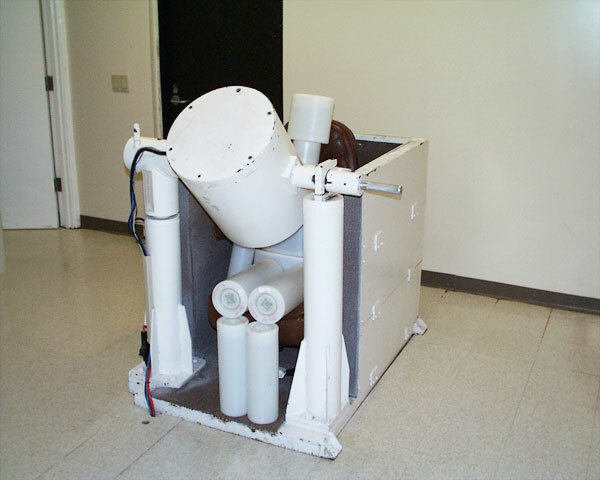 Extensive use is made of in-situ gamma spectrometers (shown in the photo above) to determine external gamma exposure rates in village and housing areas where people spend most of their time. The effects of adding potassium fertilizer depend on the initial conditions, and must be confirmed by re-sampling and analysis of locally grown foods. Scientists from the Lawrence Livermore National Laboratory have developed a wealth of experience in conducting large-scale radiological surveys of coral atolls. 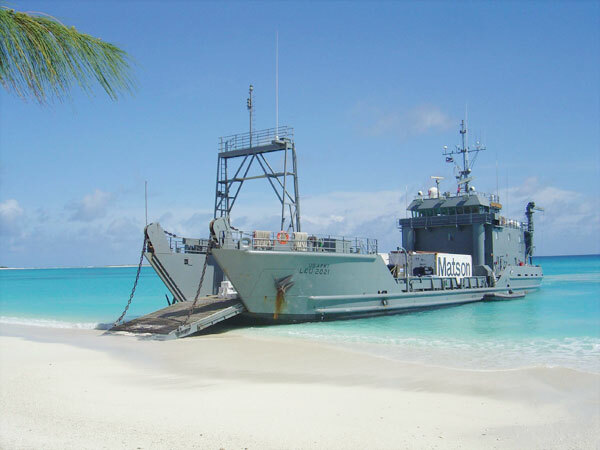 A typical large-scale sampling mission to the islands involves the use of an Army landing-craft utility (LCU) as a support platform (refer to the photo above) for the collection of food crop products, soil, ground water, air, lagoon waters, marine biota, fish, animals, and birds. Many of these food products form an important part of the local Marshallese diet and are analyzed for a range of fallout radionuclides including gamma-emitting radionuclides (e.g., cesium-137, cobalt-60), strontium-90, plutonium isotopes, and americium-241. Scientists from the Lawrence Livermore National Laboratory have worked in partnership with local atoll leaders and their representatives to establish a number of permanent radiological monitoring facilities at remote locations in the Marshall Islands. These facilities are being used to develop more reliable and accurate dose assessments, especially for resettled and resettling population groups in the northern Marshall Islands. Marshallese technicians are primarily responsible for all the day-to-day operations of the facilities after receiving extensive training in whole body counting and basic health physics at the Lawrence Livermore National Laboratory. 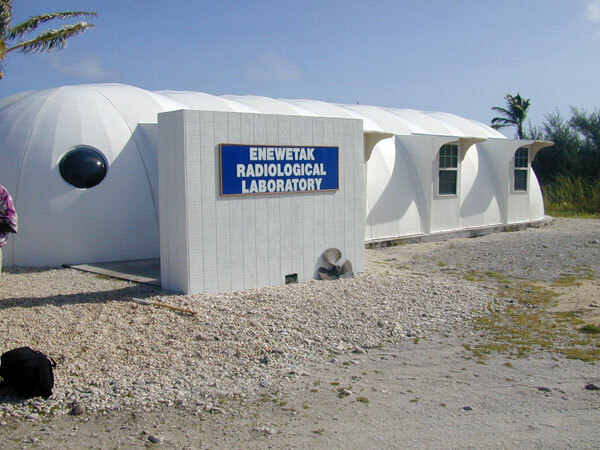 The Enewetak Radiological Laboratory (shown in the photo above) was established in 2001 and, in addition to a whole-body counter, provides clean living space to collect plutonium bioassay samples. Whole-body counting facilities have also been established on Rongelap Island (Rongelap Atoll) and Majuro Atoll. During the period between 2001 and 2006, approximately 2200 volunteers have participated in our whole-body counting program. The dose delivered by internally deposited radionuclides can most effectively and accurately be estimated using measurement data based on whole body counting and/or urinalysis. Three permanent whole-body counting facilities have now been established in the Marshall Islands. The whole-body counting systems are based on the Massic Chair design (refer to photo shown above). These facilities are providing essential data and information to help Marshall Islanders make more informed decisions about resettlement, and determine if doses delivered to island residents remain at or below applicable radiation protection standards. Scientists have learned a great deal about the unique behavior of fallout radionuclides in coral atoll ecosystems. The largest contributor to radiation doses from exposure to residual fallout contamination in the Marshall Islands comes from cesium-137. Cesium-137 is a fission product that is preferentially taken up by plants, and then transferred through the terrestrial food chain. 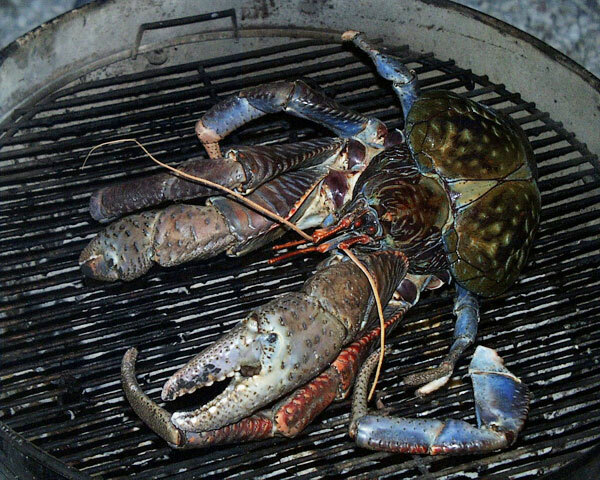 As an example, coconut crabs (refer photo shown above) form an important (and prized) source of food in the Marshall Islands and, in certain locations, have been found to contain above average concentrations of cesium-137. Residual amounts of cesium-137 in the soil also contribute most to the external dose rate.